M853 is an ultra-low power “all-in-one” Data Acquisition & Communication Module including datalogging, designed for a wide-range industrial applications. The M853 can be fully configured according to your process requirements. No additional signal converters / amplifiers, encapsulating cabinet or other electrical installation material necessary. Shortly: As long as your sensor, instrument, (field)device or other equipment has an analog output, you can take advantage of ProcessMonitor. The M853 is in full compliance with the ProcessMonitor Webportal or ProcessView stand-alone software package for visualization, data history, trend graphics and/or extensive alarming. 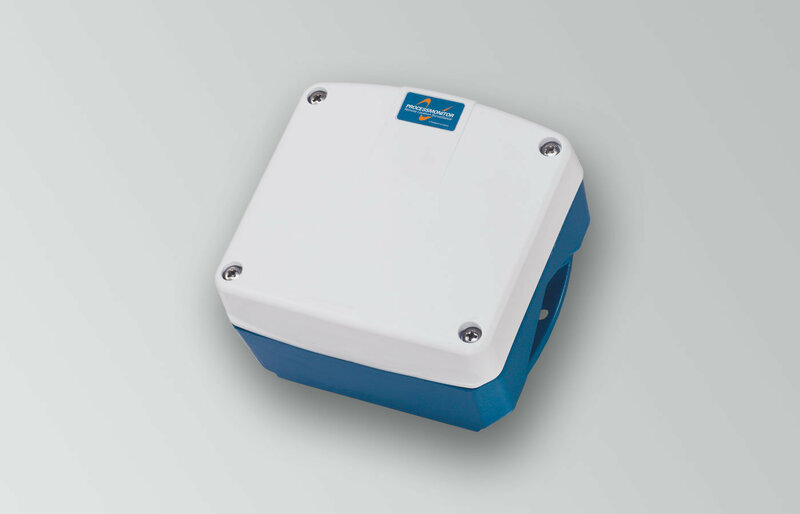 Entirely autonomous monitoring and datalogging solution independent from local infrastructure suitable for off-grid or hard to reach locations using 2G (GPRS), 3G (UMTS) or 4G communications with DC power, battery or solar panel power options. Easy and time saving configuration through local USB 2.0 port and bright and clear terminal interface (no code input!) or remotely, even when the M853 has a public, dynamic IP address. Flexible freedom in data communication by HTTP, TCP, FTP and/or e-mail. Alerts and alarms by SMS directly from the M853. Extensive alarm capabilties with E-mail and SMS through ProcessMonitor web-portal. Universal and versatile applicable for different kind of sensors and instruments through 4 analog, 3 digital status-/pulse inputs and optional ASCII, Modbus RTU and SDI-12 ccommunication protocol. Reduce maintenance costs and service time as even the optional internal battery will last for 3 - 8 years. Better cause-effect retrieval with increased log interval and alarming when setpoint is triggered. Resistant to harsh environments, not a DIN-rail mounted module but an “all-on-board” module in a GRP field mount enclosure IP67 / NEMA4X. 2G, 3G or 4G modem communication. 8 - 30V DC power supply, battery or solar powered. Energy management sensor onboard, accurately calculates the remaining battery lifetime. Integrated antenna; no “eye-catchers” to prevent vandalism or abuse. Wide operating temperature range -30°C to +75°C. Data logging by 4GB micro-SD card, for over 20 milion data entries with date and time stamp. Specially designed for industrial applications using (field) devices and instrumentation to measure level, flow, weight/mass, pressure, temperature, dissolved oxygen, pH, conductivity, vibration, energy/fuel consumption etc. Extremely suitable for replenishment purposes or logistic and Supply Chain (SCM) optimization for raw bulk materials including: Remote Silo/Tank Monitoring, Remote Inventory Management, Customer and Vendor Managed Inventory (VMI). Modbus communication protocol (RS485 / RS232). GPRS data communication through TCP, FTP and/or email. Full control through the web-portal or the ProcessView software. Process alarms and system alerts by SMS. 8 - 30V DC adapter, with charger and back-up for 3xAA NiMH batteries. Battery powered, 1 x D-Size long-life 3.6V Lithium battery. Battery powered, 3 x D-Size long-life 3.6V Lithium batteries. Solar powered, with charger and holder for 3xAA NiMH batteries. Operation: Free configurable daily operation time bracket. Alarming: SMS to 1 number direct from M853 or extensive alarm capabillities by SMS and Email in combination with the ProcessMonitor Webportal. Transmit: HTTP, FTP, Email (SMTP) or TCP (CHAP). Modem: 2G / 3G / 4G.